Canon EOS 200D سبک ترین دوربین DSLR در جهان با صفحه نمایش زاویه ای متفاوت،این دوربین برای افرادی است که به دنبال خرید اولین دوربین DSLR خود هستند و همچنین افرادی که می خواهند اطلاعات بیشتری در مورد عکاسی بدست آورند و مهارت های خود را فراتر از محدودیت های دوربین گوشی یا دوربین کامپکت اساسی توسعه دهند.این دوربین به گونه ای طراحی شده است که وزن کمی دارد و راحت برای ادامه حرکت است.EOS 200Dاین دوربین با توجه با اندازه کوچکش دارای بسیار از ویژگی های دوربین های کنن را داراست ، از جمله فن آوری دو بعدی Pixel CMOS AF، صفحه نمایش زاویه دار و Wi-Fi. Canon has done away with the 18MP APS-C CMOS chip as used in the EOS 100D and has replaced the EOS 200D with a 24.2MP APS-C CMOS sensor. This sensor is identical to the one used inside the EOS 77D and EOS 800D, and works in tandem with Canon’s latest DIGIC 7 image processor. 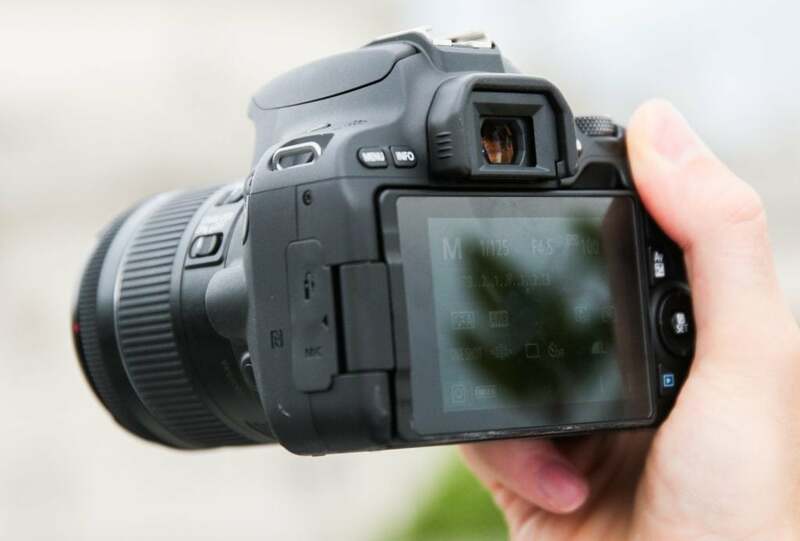 A quick peek at its spec reveals the new processor has improved the continuous shooting speed, albeit marginally to 5fps, which is 1fps faster than the EOS 100D. 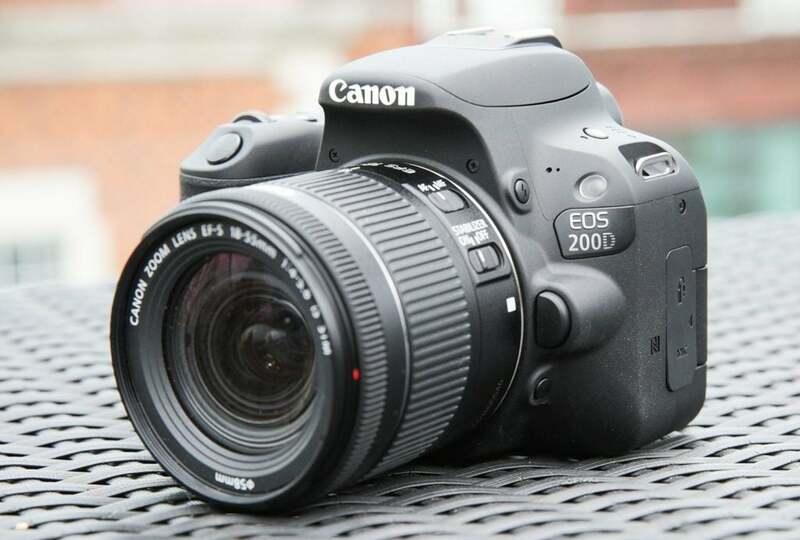 Just like the EOS 800D, the Canon EOS 200D offers an ISO range of 100-25,600, which can be expanded to a maximum of ISO 51,200 in its ‘H’ setting. It comes with an Auto ISO setting for those who’d prefer the camera to be the judge of the best sensitivity setting to use and the ceiling in this setting is ISO 25,600. It was only a matter of time before Canon’s Dual Pixel CMOS AF system filtered down to EOS cameras at a lower price point, and at the time of writing the EOS 200D is the cheapest DSLR in Canon’s DSLR lineup to feature this technology. This sensor-based, phase-detection autofocus system not only introduces high-performance Servo AF tracking, but also rules out the lethargic autofocus performance in live view mode that’s associated with older Canon DSLRs lacking this breakthrough technology. Keeping on the subject of focusing, the Canon EOS 200D presents a fairly basic layout of nine AF points in a diamond formation, with one single cross type in the centre. This arrangement is identical to that of the EOS 100D and presents an AF working range of 0.5EV to 18EV. 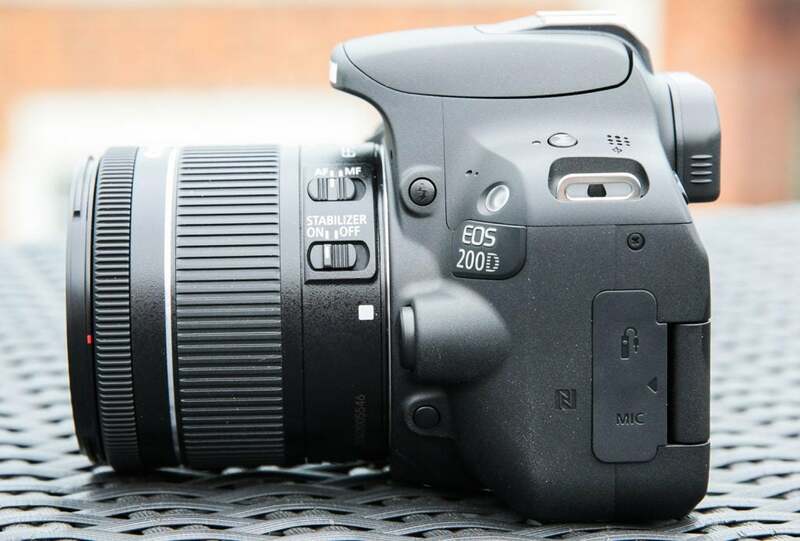 As well as offering the full manual shooting control you’d expect from a DSLR, the Canon EOS 200D offers good options for any newcomer to photography in the shape of a Scene Intelligent Auto mode, a selection of Creative Filters, as well as 11 scene modes. All of these beginner-friendly modes are easy to access directly from the mode dial. Turning to metering and exposure, this is looked after by a 63-zone dual-layer metering sensor. Exposure can be refined using the exposure-compensation system, which offers 1/3 stop or 1/2 stop increment adjustment over a +/-5EV range. The shutter speed range spans from 30sec-1/4000sec and, as with most of Canon’s entry-level DSLRs, you only get a single scroll dial on the top plate. Those wishing the make quick adjustments on the fly will appreciate the impressive 3-inch, 1040k-dot vari-angle touchscreen at the rear. Above the screen you get an optical viewfinder. Although coverage isn’t a full 100%, at 95% it’s respectable for a camera aimed at beginners, and benefits from dioptre correction and depth of field preview. There’s also a built-in flash that has a guide number of 9.8 (ISO 100), and a flash recycle time of 3 seconds. Naturally, those who require a bit more power can always attach a Canon’s EX series Speedlite or trigger wireless flash via the hot shoe. 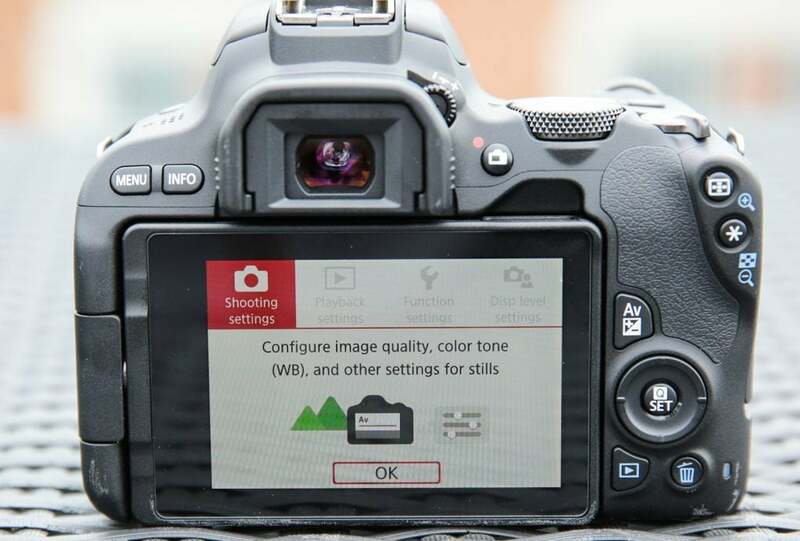 One feature lacking on the EOS 100D that the EOS 200D now boasts is built-in Wi-Fi. For anyone looking to step up from a smartphone this is, of course, seen as a must-have feature. It ties in with the free-to-download Canon Connect app and allows you to share images between mobile devices in seconds, as well as take control of the camera’s key settings when you’d like to work remotely. In addition the EOS 200D is NFC equipped and there’s the option to initiate an always-on low-energy Bluetooth link between camera and mobile device. Canon has made quite a few changes from the 100D across the body, some of which are more obvious than others. One of the noticeable differences is the material used around the handgrip. 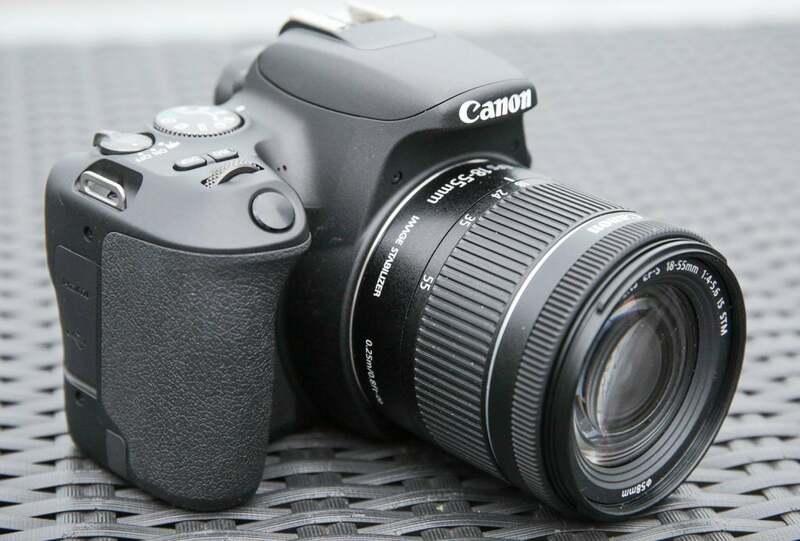 The rubberised texture is smoother and not as grippy as it was on the EOS 100D. Personally, I liked the EOS 100D’s handgrip from a feel and handling perspective, however it never matched any other Canon DSLRs in this respect. 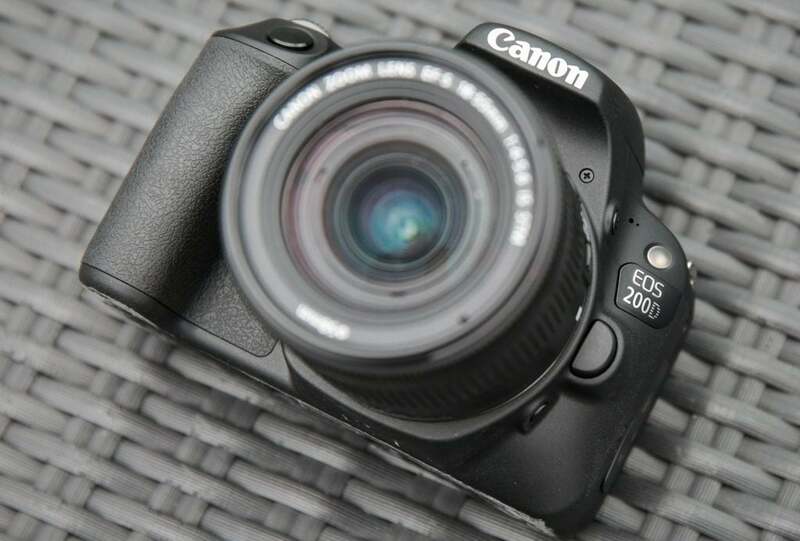 The leatherette finish of the Canon EOS 200D’s grip doesn’t offer the same level of grip as its predecessor, but is more consistent with other models Canon produces and looks more stylish. The polycarbonate resin and carbon-and-glass-fibre body is adequately strong enough to shake off the occasional bump or knock it might receive in day-to-day use. 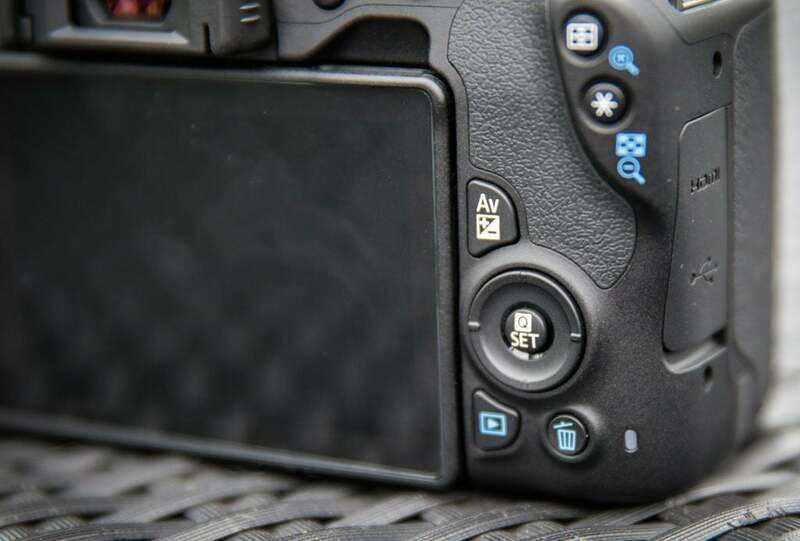 Don’t expect it to be as robust as more expensive models in Canon’s range, though – pick up the EOS 77D or EOS 80D after handing the EOS 200D and you’ll immediately feel the difference in build quality. I have briefly touched on the fact that it’s a small camera, but its physical dimensions are very slightly larger than the EOS 100D’s. It measures 122.4×92.6x 69.8mm opposed to 116.8×90.7x69mm. I should also point out that it is smaller than Canon’s EOS 1300D and it’s a camera you’ll really want to get in your hands first to find out if it’s going to be the right choice for you. People with large hands are most likely to find the grip too small, but those with small hands won’t have any complaints. If you have medium-sized hands you may find your little finger has a tendency to drop off the bottom of the grip. Moving onto the layout of buttons and controls, it’s much the same as before with a few tweaks here and there. Live-view, playback and exposure-compensation buttons are all found in the same place, with the quick-menu button once again being located in the centre of a small D-pad. Just off to the right of the thumb rest are the AF point selection and exposure-lock buttons, which double up as zoom buttons in playback. The single scroll on the top plate is used to control aperture and shutter speed settings when shooting in the respective aperture priority or shutter priority modes. To adjust aperture with this dial when shooting in manual mode you’re required to press and hold the AV button at the rear, which soon becomes second nature after a while. Up on the top plate the on/off switch is now separated from the mode dial, making it slightly less awkward to operate with your thumb. Pushing the switch beyond its on/off settings engages video mode. The mode dial has been simplified and the PASM manual modes are clearly marked from the automatic modes. In front of the mode dial there is also a new display button beside the ISO button to switch the screen off when it’s not being used and preserve battery life. Both the ISO and DISP buttons are fairly spongy, though, and need to be depressed quite a way before they do anything. Ahead of these you get a knurled scroll dial and the shutter button, which is no longer surrounded by the same rubberised material as the EOS 100D’s handgrip. Those with sharp eyes will also notice a new connectivity button on the top of the camera to the left of the pop-up flash, which can be used to initiate a fast wireless connection. A small green LED blinks to tell you the cameras Wi-Fi is active, which turns constant when a successful connection has been made. 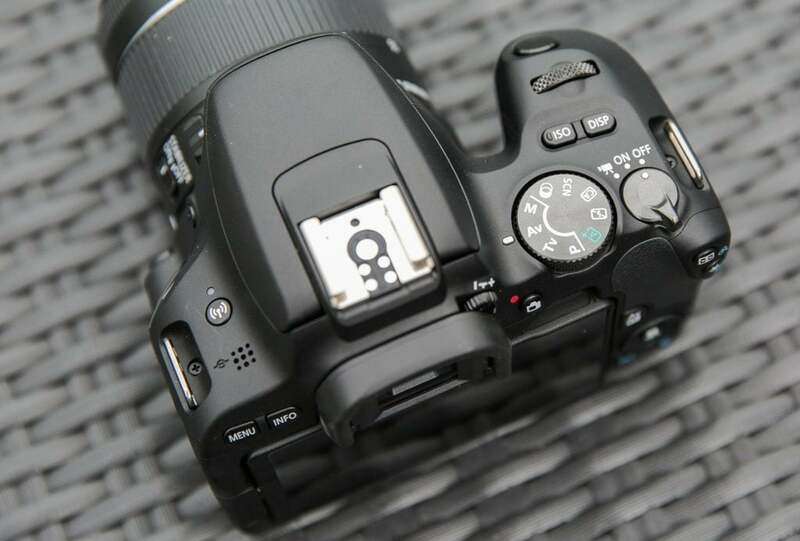 The other button you get on the EOS 200D that you won’t find on the EOS 1300D is a depth-of-field preview button below the lens release. As for the build quality of the EF-S 18-55mm f/4-5.6 IS STM lens that comes with the camera as part of the basic kit, it’s about as good as one would expect for a kit lens that’s designed to get you started. It doesn’t have a metal mount and isn’t the retractable type, but its optical image stabiliser is effective at keeping handheld shots free of handshake and it doesn’t add much bulk to the camera. A silver version of the kit lens has also been produced and this is bundled with the all-white or vintage-inspired silver-and-tan finishes of the camera.